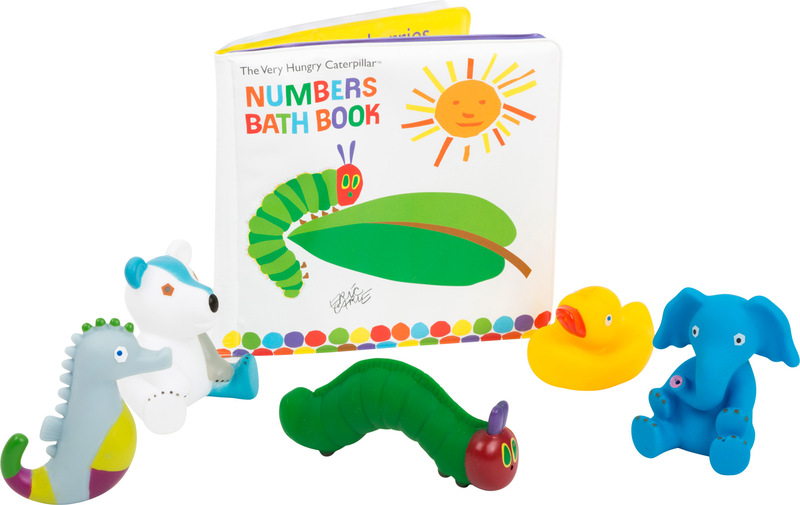 Bathtime fun with The Very Hungry Caterpillar! 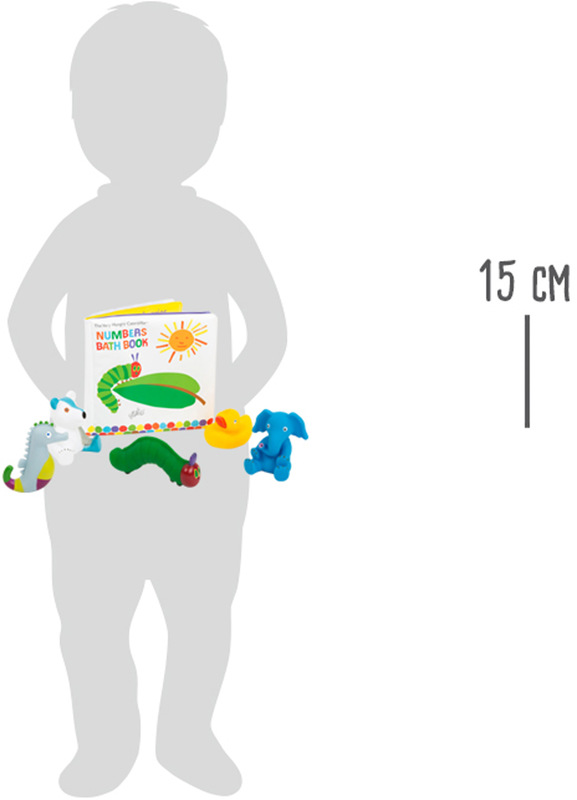 The silly friends can be filled up with water via an opening and then used as squirt animals. They can make bathtime loads of fun! 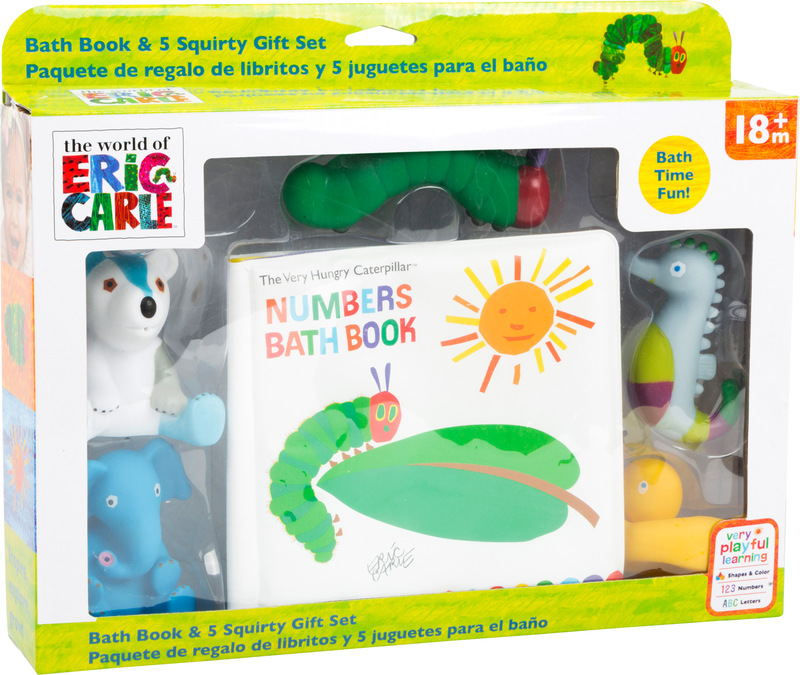 This waterproof children's book invites kids to practice counting and is a durable bath toy due to its soft yet robust material. Not for sale in Great Britain, Ireland, Scotland and Wales! All products are visible thanks to the viewing window on the attractive packaging.